The Oregon Wine History Archive (OWHA) at Linfield College has three new projects covering various aspects of Oregon winemaking and winemakers available on its website to the general public. The first is a series of themed oral history videos showcasing common themes in the Oregon wine industry. 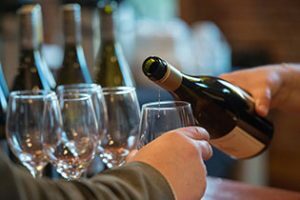 The series consists of 209 videos on 26 different topics, such as “Advice to Newcomers,” “All About Pinot Noir” and “Oregon Wine’s Pioneer Spirit.” The videos were funded by the Oregon Wine Board, Oregon Heritage Commission and the Oregon Cultural Trust, and are freely available to promote the wine industry. The videos can be found at: oregonwinehistoryarchive.org/projects/themed-videos/. OWHA has also debuted a podcast to share the wine industry’s story through oral histories. Currently ten episodes feature interviews with various wine industry luminaries such as Ted Casteel of Bethel Heights Vineyard, Renee Neely and Laurie Lewis of Hip Chicks Do Wine and Earl Jones of Abacela. The podcast can be found on Soundcloud at soundcloud.com/oregonwinehistoryarchive or at iTunes at itunes.apple.com/us/podcast/the-oregon-wine-history-archive-podcast/id1449409045. The third project features the late Jimi Brooks, a 1989 Linfield College alumnus who started the Brooks Winery soon after graduation. When Brooks unexpectedly passed away in September of 2004, a group of his friends from the wine industry donated their time and energy to keep the winery afloat and bring in that year’s harvest. In 2018, Brooks Winery celebrated its 20th anniversary and collaborated with OWHA tell its story of camaraderie in the face of tragedy. The project features interviews with Brooks’ sister, Janie Brooks Heuck; Tad Seestedt of Ransom Spirits; and Moe Momtazi of Mayasara Winery, among many others who helped the winery survive and grow. The project is freely available at oregonwinehistoryarchive.org/projects/brooks-winery-20th-anniversary-project/. 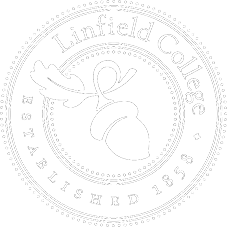 OWHA was established at Linfield College in 2011. It chronicles the Oregon wine industry and includes historical documents from early wine pioneers. The goal is to document all aspects and regions of the Oregon industry and to collect and preserve historical materials from winery owners, growers, researchers, marketers and sellers. This entry was posted in Campus Events, Press Releases and tagged Earl Jones, Jimi Brooks, Laurie Lewis, Oregon Wine History Archive, Renee Neely, Ted Casteel. Bookmark the permalink.